Stressing. It happens to the best of us. Everyone at some point in their life has been stressed about something. I know for me personally, that when I'm stressed out, I just feel plain bad. I come off a lot snappier than intended, I feel constantly ungrateful, I want to scream to the top of my lungs, I complain about every little thing, and all I want to do is be on a beach somewhere listening to the waves and smelling the crisp ocean air. Well, unfortunately, there is no way that I can transport to the beach since I'm not magical and all. Where's Wizards Of Waverly Place when you need them? Although stressing is a part of life, there are ways to relieve it. 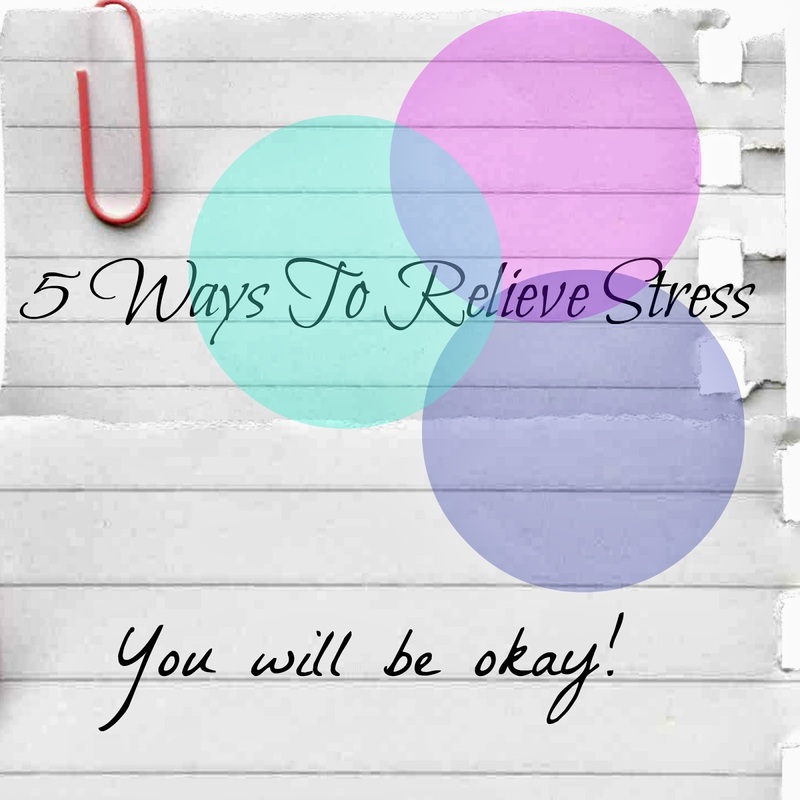 I am going to be telling you about the stress relievers that work for me. They're tested and tried. We're all different, so something that helps one person isn't necessarily going to help the other. This is just my 5 things that calm me down and relieve my stress. Here we go! 1. Listen to music. I think that listening to your mp3 player while laying on your couch or bed is very relaxing. It helps to get your mind off of things and just drift away into the lyrics and music. You could listen to a song that describes the way you feel or one that is very peppy and makes you want to dance. It's all up to you. It is very therapeutic. Music definitely can change your mood from bad to good. 2. Take a nap. Sometimes you are stressing out because your body is so tired. Taking a nap is a good thing to get yourself rejuvenated. You can sleep away from all the stress for a while and drift into subconsciousness. A lot of times, when I wake up, I'm relieved and feel ready to take charge of whatever it was that was bothering me. 3. Watch a movie or T.V. show. When you're focused on watching your favorite movie or t.v show, you aren't thinking about how stressed you are. I recommend watching a comedy! It's very uplifting and gets your mind off of all your troubles. Any chance that you can get to laugh, take it! Laughing is a lot like medicine. Laughing sometimes keeps you sane. It really does help. Try it! 4. Read a book. Just like watching a movie, reading is also very beneficial for stress relieving. It can take you to many places without leaving your room. There are so many good books out there. Find one that interests you so much that you'll be swept up in it and your stress will begin to fade. You'll forget all about it as you read chapter after chapter! 5. Last, but certainly not least, pray. It's hard to pray sometimes when you're stressed out, but do it. Tell Jesus about all the things bothering you. If you feel like you can't talk to anyone else about it, He always understands and listens. He always has time for you even when no one else does. Unlike most people, He wants to hear about your troubles so that He can help you. Trust me, I know what it feels like to not want to pray because of all of the stress, but it's one of the best times to pray. He loves you through the good times as well as the bad. He will help you. I hope these five little tips helped you! Do you do any of these things to relieve stress? What works for you? Let me know in the comments!